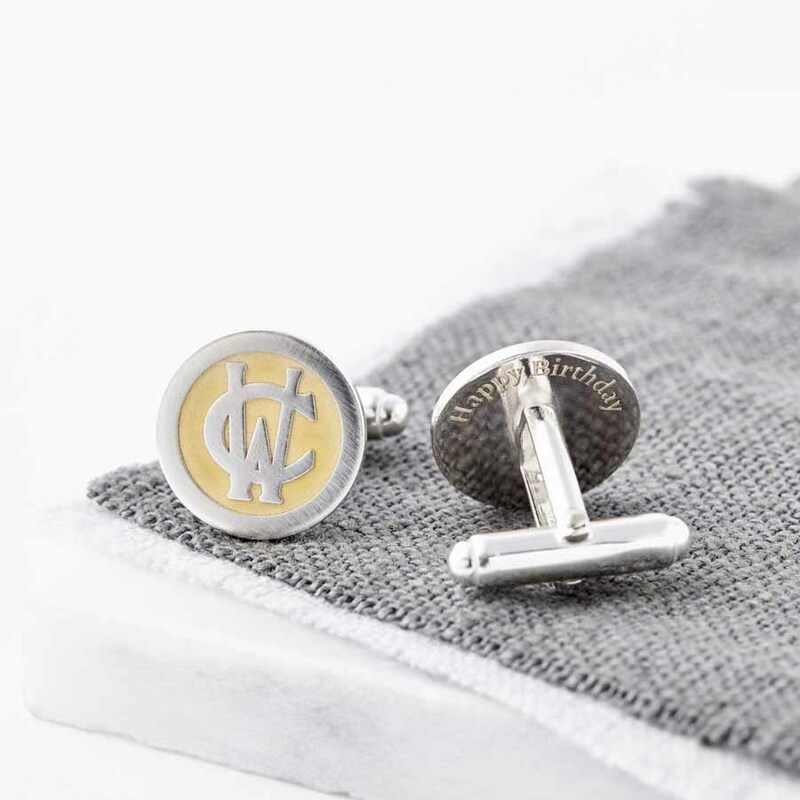 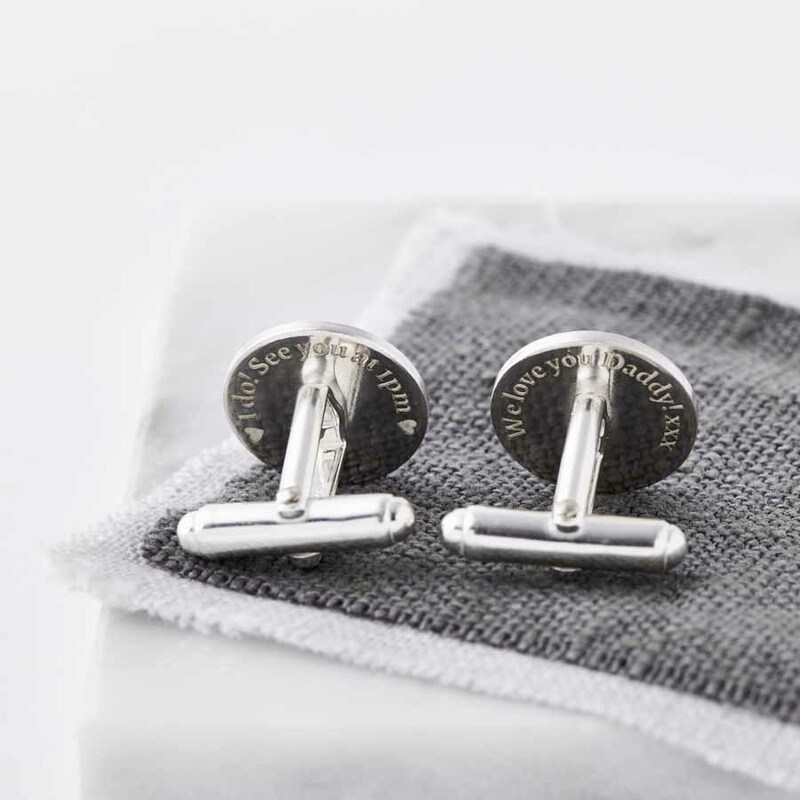 Stunning personalised sterling silver cufflinks with 24ct gold accents featuring a unique entwined monogram. 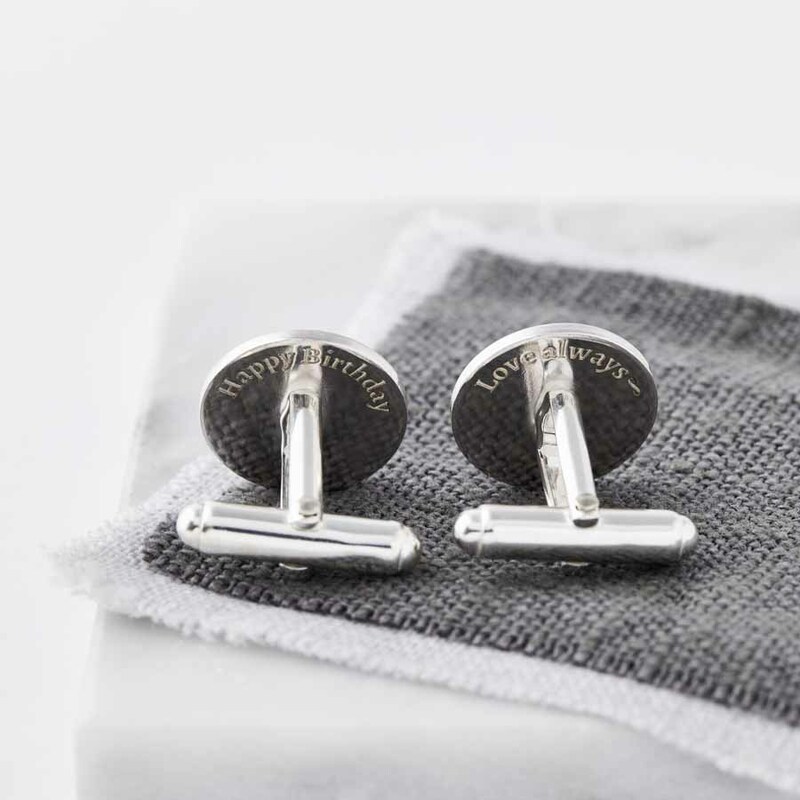 Hand made to order in our studio, we etch the solid silver round cufflinks with the unique entwined monogram using your initials. 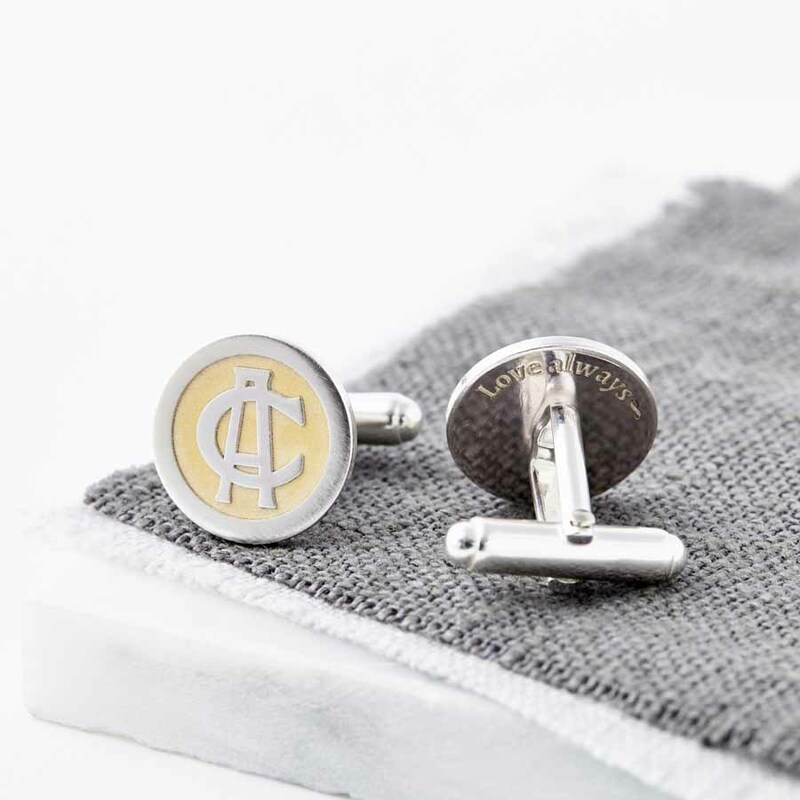 We then highlight the monogram using 24ct gold.